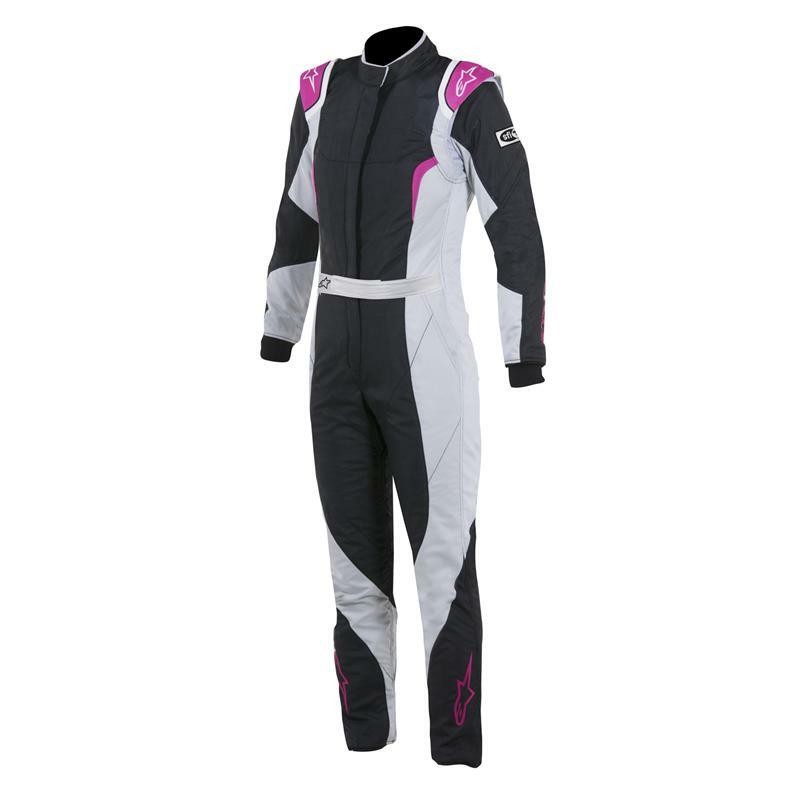 3360116-1064-38 - Alpinestars Racing Suit - Stella GP - Dezod Motorsports Inc - Home of the automotive performance enthusiast since 2002. Designed and developed for an optimized women’s performance fit the Stella GP Pro Suit offers excellent levels of breathability and comfort. 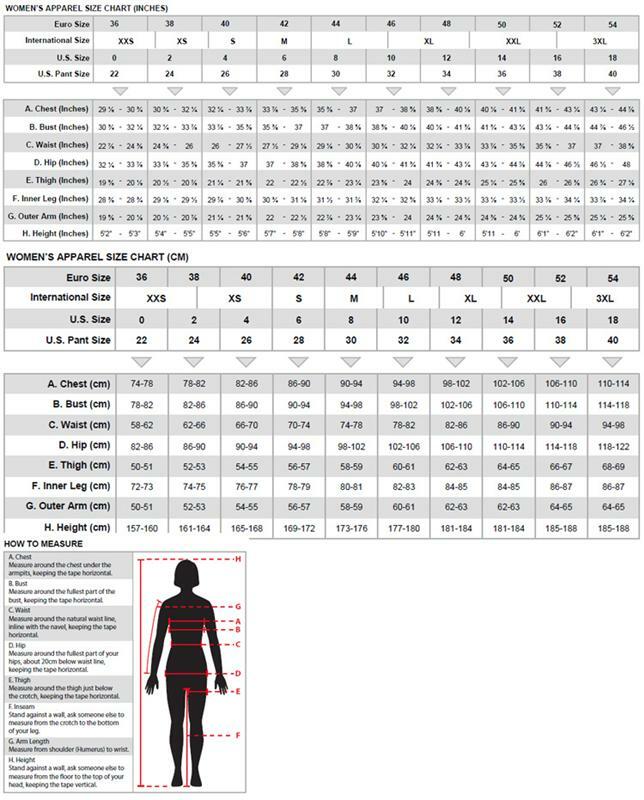 Anatomically profiled specifically for the female form, this multi-layer suit features advanced safety materials for highly effective heat transfer protection. Developed in Formula 1, WEC and NASCAR and tested by drivers such as Susie Wolff and Danica Patrick, this FIA and SFI homologated suit has strategically placed stretch inserts for greater freedom of movement and performance. *100% Nomex outer layer provides excellent resistance to heat. Nomex-based mid-layer for maximum heat transfer protection. Aramidic fiber inner liner for additional heat-resistance performance, moisture-wicking and durability. Shoulder construction features additional padded panels for extra cushioning under HANS device and belts. Anatomical arm, leg and torso paneling patterned for optimum driving position fit. Nomex elasticized lower back and lateral stretch panels for unrestricted movement and breathability. Alpinestars fully floating arm construction with stretchable knit fabric provides freedom of movement. Close-fitting design and adjustable collar and belted waist for precise fit. Comes in range of aggressive new colorways and design detailing. Alpinestars’ shoulder epaulette construction to facilitate effective extraction of driver in event of a crash. Ribbed, stretchable wrist and foot cuffs.